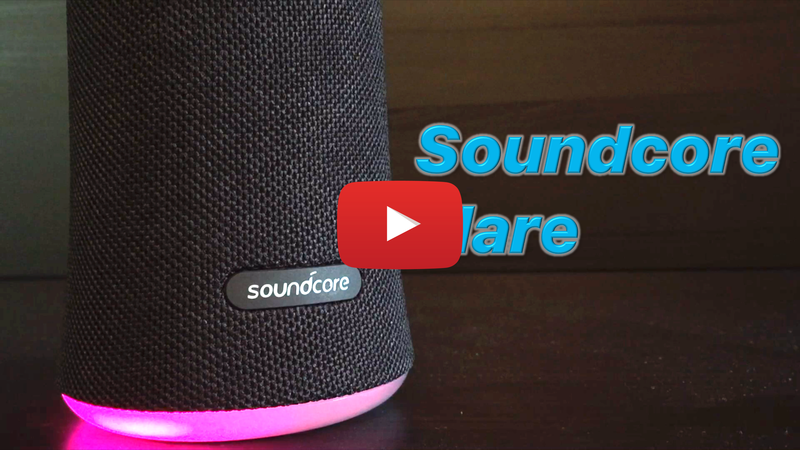 As promised, here is my review of the Soundcore Flare by Anker! Sorry for the delay; went on a trip to Baltimore to compete at the FBLA's (Future Business Leaders of America) NLC (National Leadership Conference) during a week of the designated testing session. Nonetheless, I have lots of good things to say about the Flare.... Hope you enjoy the video! As always, I love hearing any feedback you may have, and thanks for watching! Should Anker promote the buoyancy of their waterproof speakers? Also what above introducing wireless charging and removing the aux port, thus negating the need of ensuring the rubber cover is fitted securely for full waterproofing? Well done again @joshuad11. I agree with you about the microUSB..... with electronic advancements, we all should start living the "USB C life." I absolutely love the look of the SoundCore Flare. Best looking speaker imho that Anker has produced. On a side note..... is it just me or does the d in the word SoundCore, look like a music cleft note? Did anyone catch that? At first, I thought it was just a botched printing but looking at it further, it dawned on me that it would could be a note. Here in SoCal, water is a precious commodity. I hope the bucket water was put to good use after he gave the Flare a bath. I think so definitely a cool feature. Great review Josh! Can I ask what video editing software you are using? Thanks for the quick reply. Well that's only for Mac users. Since I don't have one I'm going to need something else, probably going to use something free to start (any suggestion would be welcome). Once I get more into making videos I might get something like Adobe Premier. I would love to take a class in After Effects to make some awesome intro's and outro's.